Yesterday I had the most wonderful time in the kitchen. I made home-made apple pie. First, there is something about pie that reminds me of the comforts of home. The smells, the old fashioned sense in memory and imagining people harvesting the apples from the farms and making something sweet and delectable with them. Also, I feel a sense of pride and for some reason it ties me to America. Apple Pie is one thing that represents this country, no?! Beyond all of these fruitful stories in my head I was also making these pies for a charitable cause. These pies are going to feed children that have no where to call home on Thanksgiving. I really did put extra love into these pies for that reason. The whole process was cathartic, peaceful, and very gratifying. I made 20 pies to be exact! I did bake off a sample yesterday to test and make sure my recipe was “blog” worthy! Ladies and gentleman this pie is absolutely scrumptious. 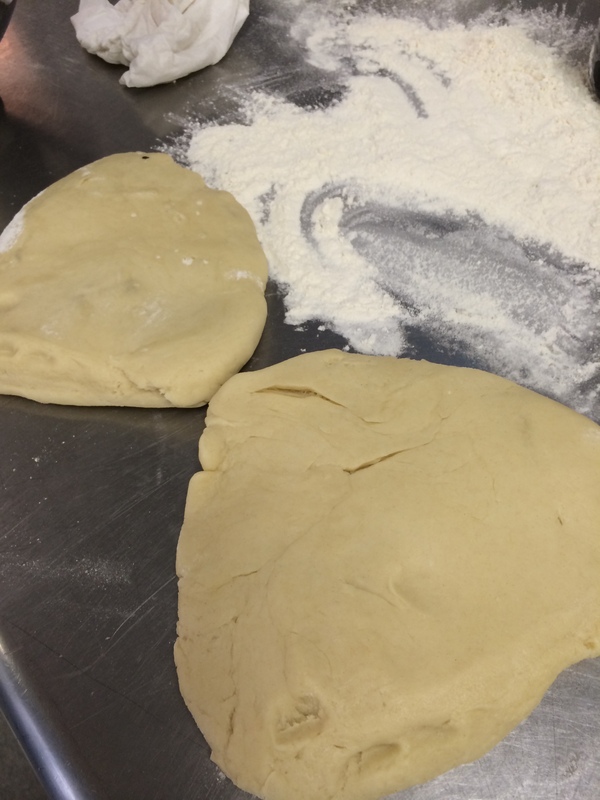 Flatten your dough mound and separate into two disks. Refrigerate for at least 30 minutes. Okay, after 30 minutes take your pie dough out. With a rolling pin on a floured surface roll dough sections out to 1/8 ” thickness. Butter a pie dish, and place one rolled out dough portion over the pie dish. With your fingers, press the dough into the pie pan. It should mold into the pan. 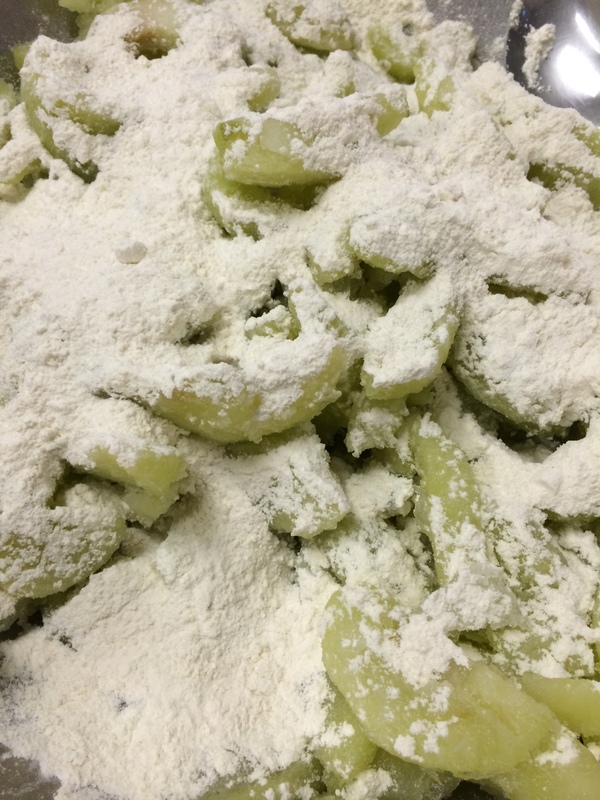 If there is extra dough spilling over the top that is fine because we are going to top the dough and cinch together with our second dough section. Next, take two large handfuls of apple mixture and place int the pie crust. Now, there should be some liquid at the bottom of your apple bowl from the apples macerating in the sugar. Here is a chef secret from me to you….take that liquid and put in a pot on the stove and reduce it down over low medium heat until it becomes syrupy, almost like caramel. 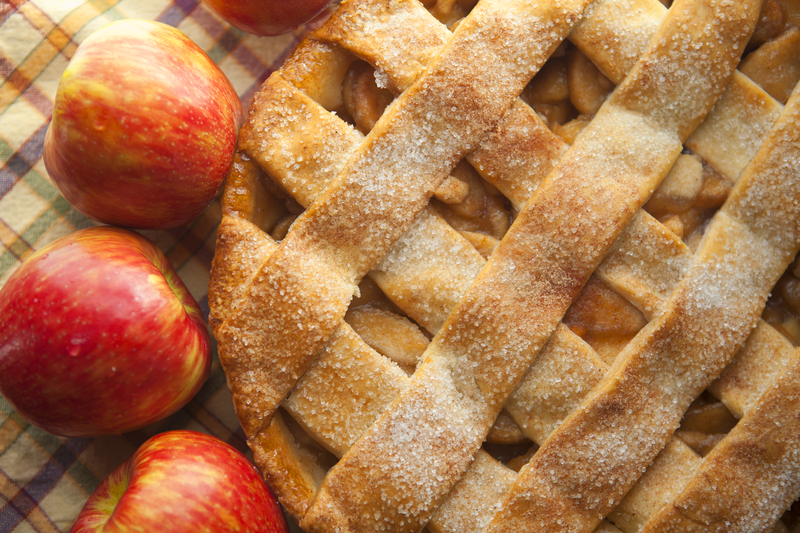 Drizzle this over your apples….this is a secret that will make your apple pie different from the rest! Now, dot the top of your apples with butter. 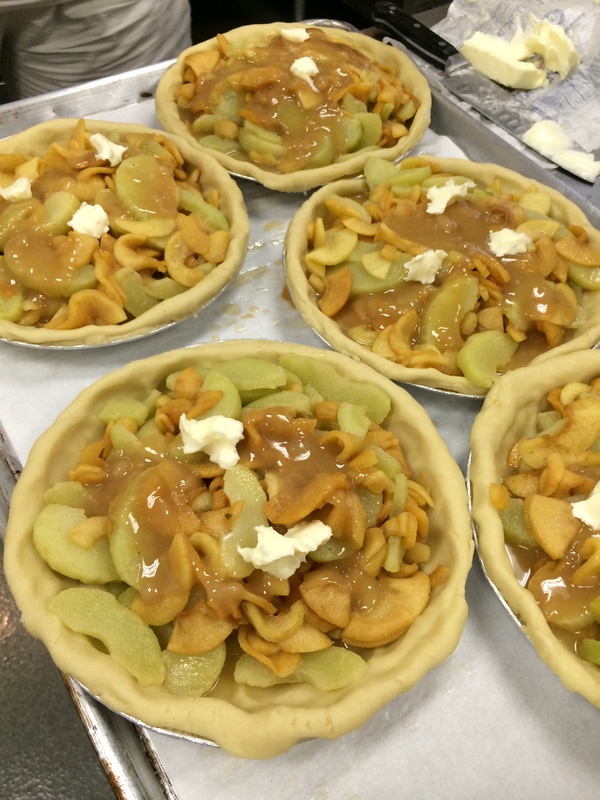 It is time to top the pies….they are starting to look gorgeous right?! 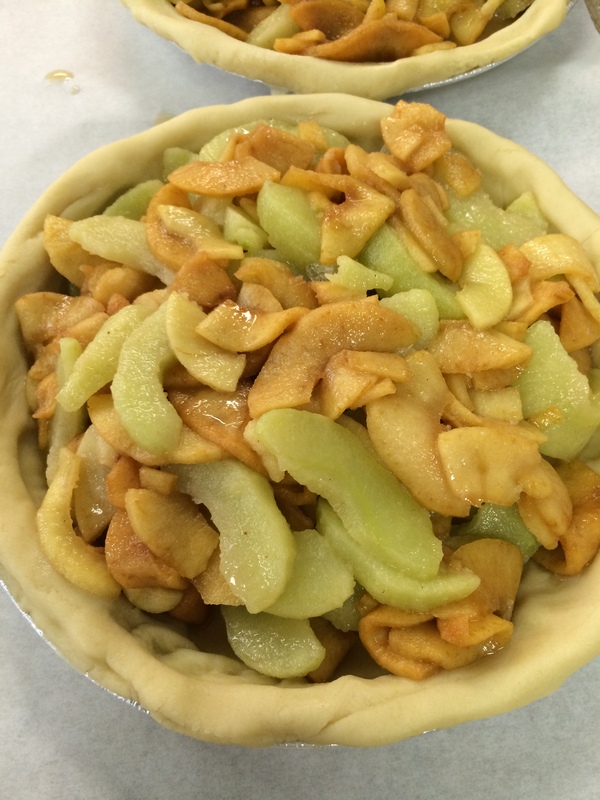 Take your other rolled out pie crust and lay it over the apples and circumference of the pie evenly. Now pinch the sides of the pie and fold over in a ring to give an elegant look. Score your pie with a knife to let steam escape. Brush with cream and sprinkle with sugar. Bake at 375 degrees F for 45-55 minutes until the crust is golden brown and juices start to bubble. 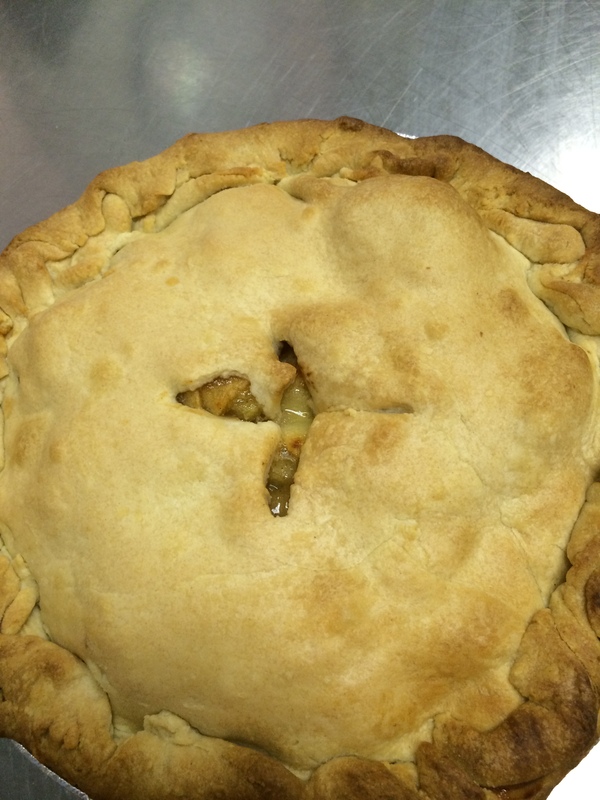 You will have a decorative, beautiful, melt in your mouth Apple Pie! Bring this pie to Thanksgiving dinner. Better yet, make for no good reason and surprise a special someone on any given day! I imagine I will be making this on a cold, rainy day, lighting a fire and serving with hot apple cider : ) Vanilla ice- cream will also do the trick. I think I will make a tradition of going to an apple farm, picking my apples and making this apple pie every year from now on. Sorry guys, I get tied to recipes like they are my long lost friends! Enjoy! Chop butter, refrigerate. Combine flour, sugar and salt. In a food processor, first pulse together flour mixture. 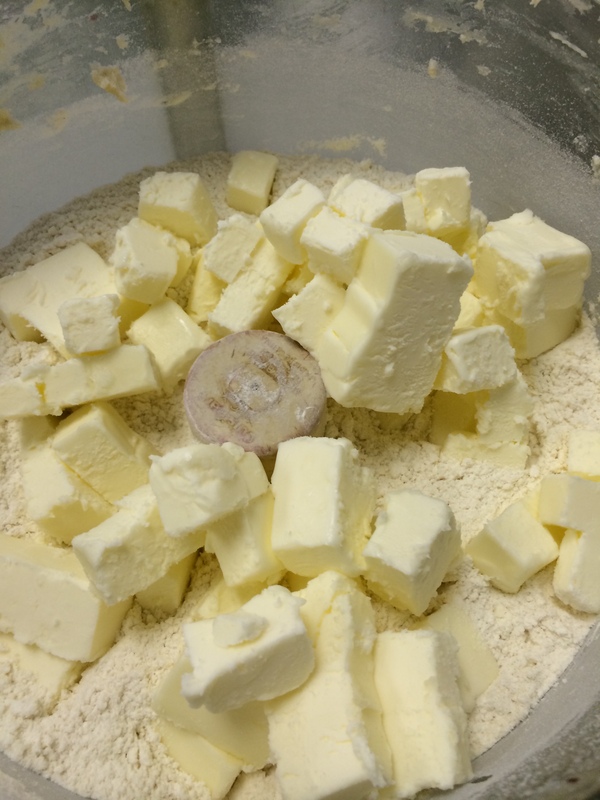 Next add butter/shortening and pulse in the butter and shortening until butter is the size of peas. With the motor running add ice water and pulse until dough ball forms. 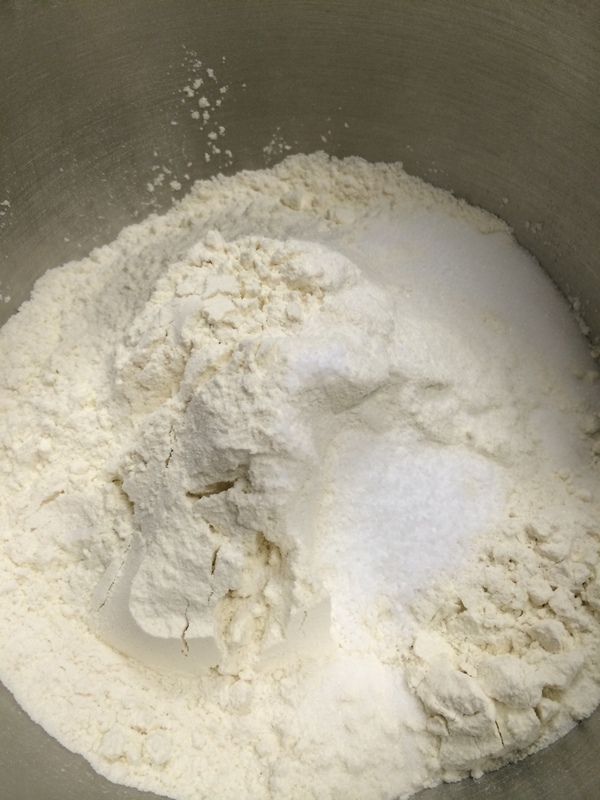 Dump out onto floured surface, divide the dough into two equal portions and refrigerate. Peel, core and slice the apples into 1/4 inch slices. Combine all ingredients in a bowl and let sit for 30 minutes. 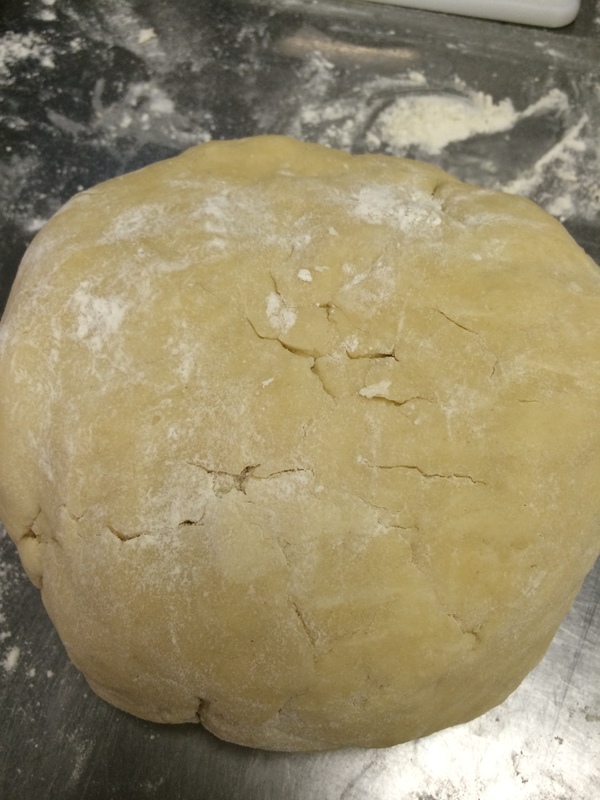 Take one portion of your pie dough, on a floured surface, roll your dough into a circle 1/8 ” thick. 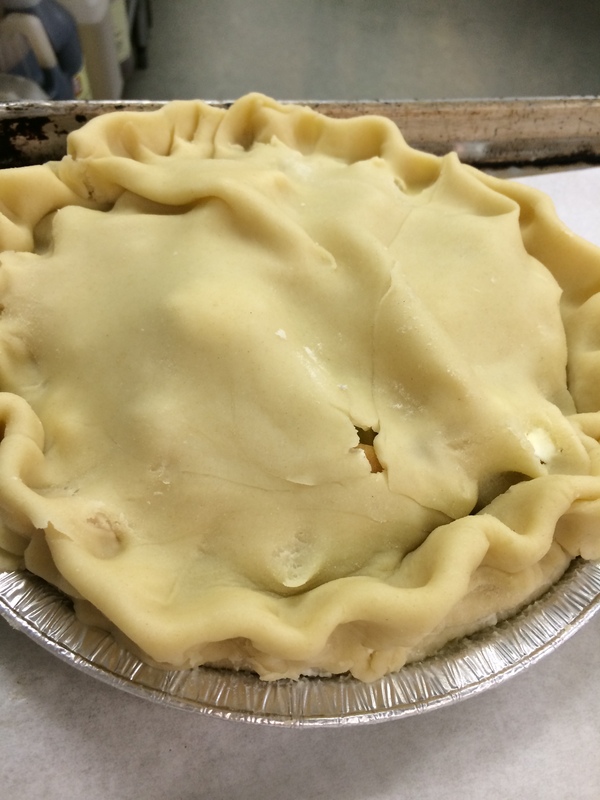 Form into your buttered pie dish by pressing the dough firmly into the dish. Place your apples into the pie crust. 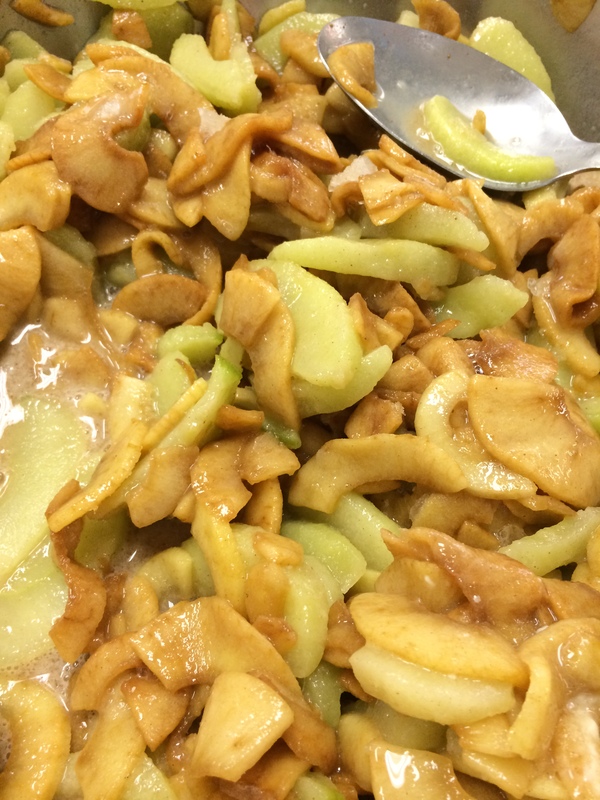 Take the liquid remaining from the apple bowl, put in a pot over medium heat and cook down to syrup consistency. Drizzle over your apples. Dot with butter. 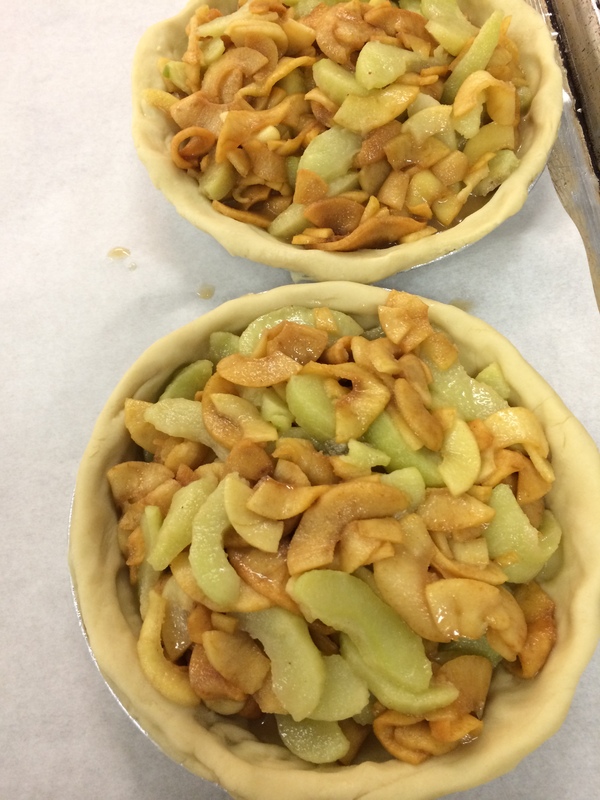 Roll remaining pie crust out into 1/8 ” thickness and top your apples with second dough. 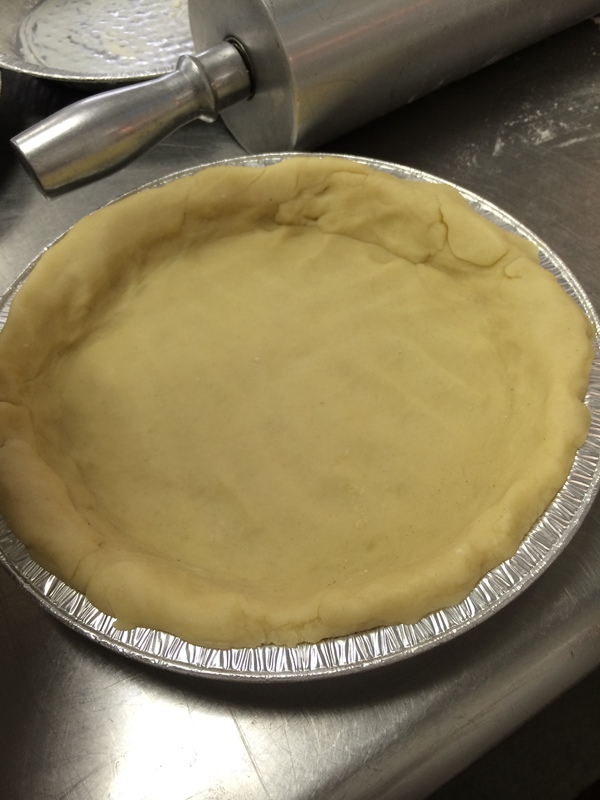 Pinch the bottom pie crust, with the top pie crust to seal and roll the edges decoratively. With a knife, cut slits at the top to allow steam to escape. Brush your pie with cream and sprinkle with sugar.Bake until the crust is golden brown and the juices begin to bubble. 45-55 minutes at 375 degrees F. Remove from the oven and cool on a wire rack for 1 hour before serving. Thanks for sharing your fabulous pie recipe! Love you! Looks amazing! I wish I could bake like that! Thank you so much Rachel! What a wonderful compliment! Thanks Krista! 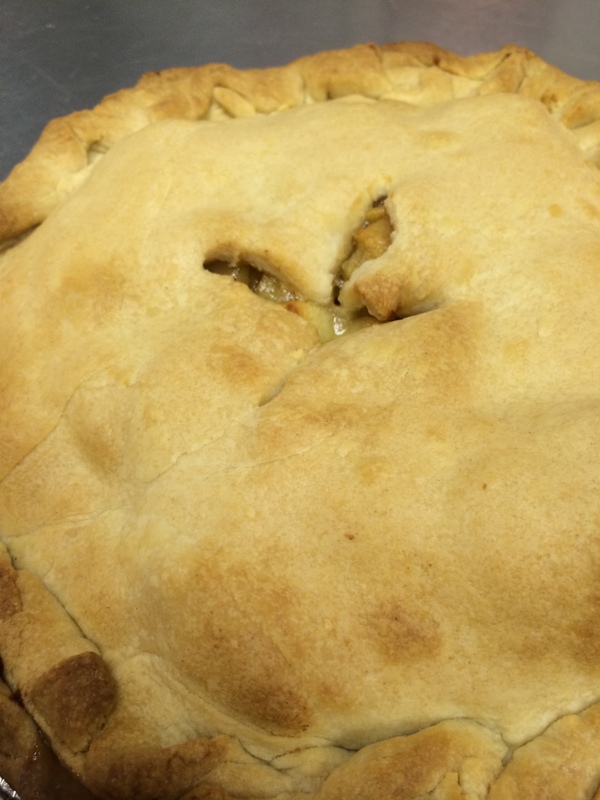 I will cherish this recipe…you make the best apple pie I have ever tasted. Those kids are in for a real treat!